A video grab from the film Humraaz starring Vimi amd Sunil Dutt. This film made Vimi a super star overnight, however this fame was shortlived and Vimi died penniless in a general ward of a government hospital with no one besides her. Editor’s Note: In Hindi movies the ending always has to be perfect- the good triumps over evil, the long lost brothers meet, the lovers unite and of course the police arrive in nick of time to take the villain to jail. The audience clap, the box office looks healthy and the stars take home heavy pay packets. But it is not always that the ending is perfect in bollywood. One such imperfect ending is of the film stars whose names which once moved million of fans across India, suddenly become dismal flops and remain forgotten destined to the fringes of the film industry living in poverty and penury. These stars are victims of fate, their own reckless behaviour, lack of foresight and the ruthless industry where there is no place for those who do not ensure commercial success. Let us look at some such stars who once ruled the screen but their end was not perfect- poor, lonely, destitute and left to live with only faint memories of their stardom as company. Her gorgeous looks inspired the lyricist Sahir to write one of Hindi cinema’s most memorable ode to a woman’s beauty- ‘Kisi pathaar ki murat se, mohabbat ka irrada hai, paratish ki tamanna hai, ibadat ka irada hai’. The woman who inspired these lines was Vimi (1947-1977), the Hindi film actress who for a brief period in the late sixties and early seventies was the ruling star of bollywood. Fame and glamour was soon to desert her and she died in her early thirties, a poor and helpless woman. The script of her life had gone horribly wrong. Born in a conservative Mumbai based Punjabi family, Vimi was a regular on All India Radio during her student days. She married Shiv Aggarwal, scion of the multimillionaire Amirchand Pyarelal family and shifted to Kolkata. With two children, a doting husband and high social status, life seemed kind to Vimi. 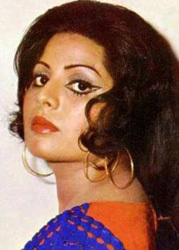 A meeting with the music composer Ravi in Kolkata brought the couple to Mumbai where BR Chopra transfixed by Vimi’s beauty signed her for the super hit film Humraaz (1968). Overnight Vimi was transformed into a star. While professional success was coming, the home front for Vimi took a nosedive. Her parents’ disapproved of her joining films and her in-laws disinherited her husband from the family business as a fall out of Vimi joining the film industry. The earning from her film career was now the mainstay for the family. With Humraaz a hit, producers queued up at her door and she started commanding a staggering Rs. 3 lakhs as fees. Though extremely photogenic with immense screen presence, Vimi lacked requisite acting skills. Her somewhat wooden expression did not go well with the audience and her subsequent movies started to flop. Unfortunately Vimi kept faith in her looks and never tried to polish her acting abilities. If this was not enough her husband by now an alcoholic would interfere in her career displeasing many big producers with unreasonable conditions. Despite these drawbacks her co-stars recollect Vimi to be soft spoken, punctual and hardworking. A clutch of movies came with her in the lead, but sank at the box office. With money flowing short, the couple shifted from their swanky residence at Juhu to a more modest locality. Desperate for money, her husband started to push her into the arms of dubious producers to which Vimi protest only to be beaten and abused by her husband. At this time Vimi met a small time producer named Jolly who promised to make a film with her in the lead. Vimi saw in Jolly her last hope to resurrect her career. With her husband hopelessly alcoholic and abusive, she started living with Jolly. However Jolly’s promised movie never happened and Vimi’s dream of seeing herself again as a heroine was shattered. Vimi found solace in country made liquor, the only variety she could afford. Heavy drinking and emotional turmoil took its toll. In her last few years she would allow herself to be exploited by men for earning a livelihood. Vimi once the most beautiful face in Hindi cinema died on August 22, 1977 after spending a few days in the general ward of the Nanavati hospital in Mumbai. Heavy drinking was reported to the the cause. She was in her early thirties. Her dead body was wrapped in a soiled dhoti and taken for cremation in a chanawalla’s thela(cart) down the same road on which many years ago she would drive in an Impala with fans following her for a glimpse of the Humraaz heroine. Only nine people were present at her cremation. Bollywood had forgotten Vimi. A bigger star than Vimi was Bharat Bhushan (1920‐1992) most remembered for his role in Baiju Bawra (1952) and Barsaat ki Raat (1960). The old moviegoers will remember the hit songs like Tu Ganga ki mauj and o duniya ke rakhwale filmed on Bharat Bhushan. He won the filmfare best actor award for 1953. With success came money and some of the best located bungalows were owned by him, along with a fleet of cars. However after ruling the decade of the fifties, the sixties brought in competition in the form of new heroes and Bharat Bhushan’s career was on the wane. While his films were flopping, his gambling addiction remained unabated and soon his three bungalows were sold to Jetendra, Rajender Kumar and Rajesh Khanna respectively. 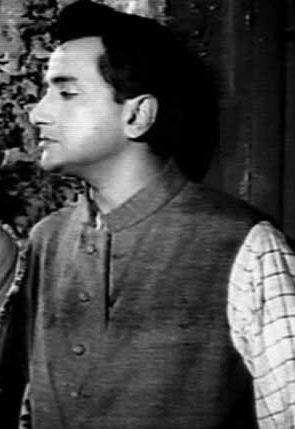 Bharat Bhushan had to move to a chawl in the slums of Mumbai. An actor who had acted with heroines like Meena Kumari, Vyajantimala, Nutan etc now was reduced to doing miniscule roles as an extra. He shifted to television and small budget films with marginal success. Also a poet and man of fine tastes, he donated the books from his once famed personal library for he had no place to keep them. Towards the end of his career Bharat Bhushan reportedly had to work as a watchman in a film studio to make ends meet. He died in 1992 penniless. A passerby helped with the fare he saw Bharat Bhushan request a auto driver near Borivili National Park (in Mumbai) to take him to the hospital. Bharat Bhushan died on the way. It is ironical that the some of the scenes of his blockbuster Baiju Bawra were shot at the Borivili National park. 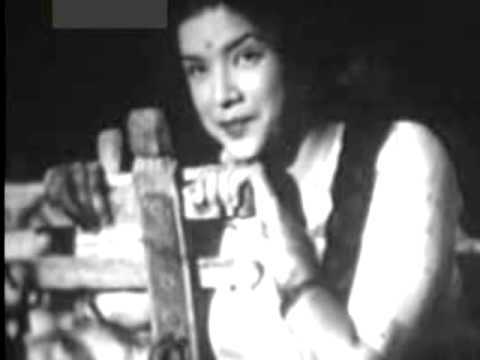 The song Ayega Aanewala from the movie Mahal (1949) which was Lata Mangeshkar’s first hit was composed by Khemchand Prakash (1907‐1950) who also gave Kishore Kumar his first real break. Some years back his wife was found begging at the Malad railway station in Mumbai. Almost similar is the case for the people attached with the famous bhajan “Itni Shakti Hame Dena Daata” from the film Ankush (1986)‐ its singer Pushpa Pagdhare lives in a one room tenement in Mumbai’s Machimaar colony, the lyricist Abhilash in a slum and composer Kuldeep Singh makes ends meet by giving music lesson to children. The song however is a morning prayer across schools in India. Meanwhile telephone companies rake in millions by selling ringtones of this song. Khan Mastana, Mohammed Rafi’s co‐singer in the patriotic song Watan ki Raah Mein Watan ke Naujawan Shaheed Ho’, died a beggar at the Haji Ali Dargah, Mumbai. Remember the song ‘Tum Itna Jo Muskura Rahe Ho‘ from the movie Arth (1982) where Raj Kiran sings on screen this immortal Jagjit Singh gazal for Shabana Azmi, or do you remember the block buster Karz (1980) where Raj Kiran plays Rishi Kapoor’s pre incarnation character. This cultured, genial and down to earth actor was at his peak in the eighties when he suddenly disappeared. 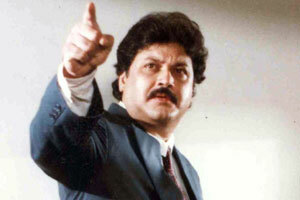 Rumours started circulating that Raj Kiran was dead. It was recently that Raj Kiran’s costars Rishi Kapoor and Deepti Naval started to search and located him at a mental asylum in Atlanta, USA. The chain of events leading to Raj’s disappearance then became clear. It all started with Raj Kiran suffering from acute depression and mood swings. As a consequence his brothers and wife disowned him at a time when he needed their support the most. Raj Kiran took to alcohol and thing started to go downhill from then on. He stopped getting film roles. He shifted to United States and took up work as a taxi driver in New York. 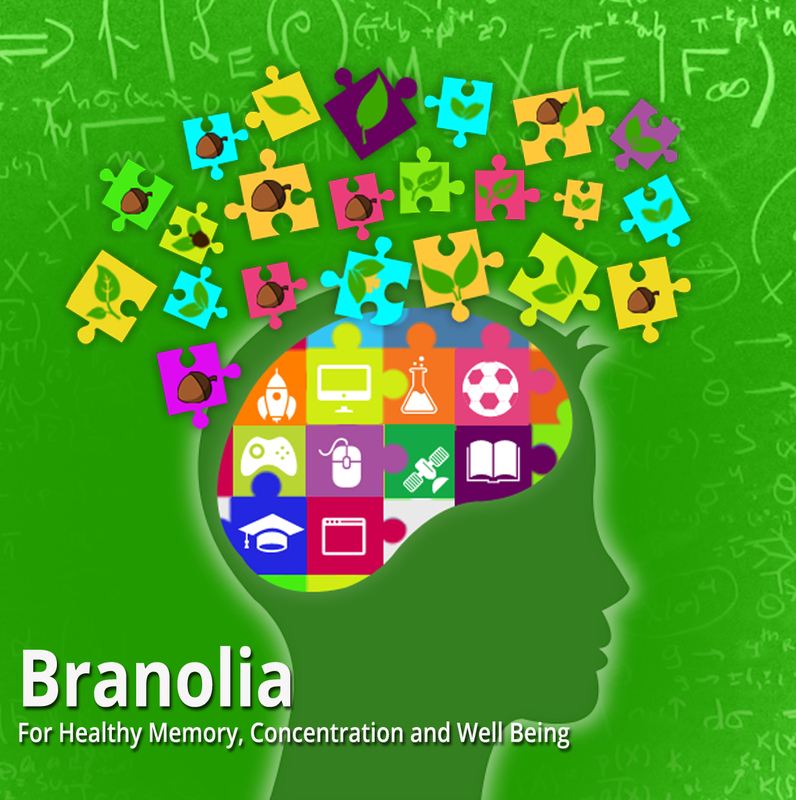 Later he ended up at a mental asylum in USA, a consequence of his clinical depression. Raj pays for his medical bills by working at the institution. Sulakshana Pandit the gifted playback singer and an extremely beautiful and talented actress played lead role in a number of movies in the seventies and early eighties. Niece of Pandit Jasraj and sister of the music composer duo Jatin-Lalit, Sulakshana enjoyed a bright career in Hindi films. 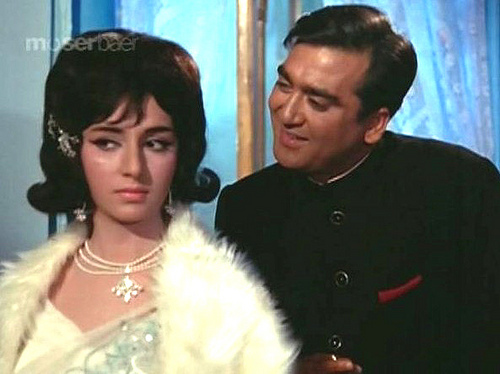 Sulakshana dearly loved the actor Sanjeev Kumar whom she wanted to marry. However Sanjeev Kumar then in one sided love with Hema Malini rebuffed Sulakshana’s offer for marriage. Sulakshana unable to take the heartbreak withdrew completely from movies and lived in a flat in Mumbai with her mother as a recluse shunning all contact with the outside world. With no work her financial status started to dwindle and she lived a hand to mouth existence. When her mother died, Sulakshana lost the last emotional support and her health started to deteriorate. Presently Sulakshana stays with her sister Vijeyta, the erstwhile film actress and wife of music composer Adesh Srivastava. Life was not kind to Rajkumari Dubey (1924-2000) the star of the silent films and the first female playback singer in Indian film industry. Much sought after in the forties, Rajkumai lost out to newer talent especially the Mangeshkar sisters and was soon out of work. Music composer Naushad who admired Rajkumari’s style of singing was taken aback when he found her amongst the chorus singers during recording of the songs for the film Pakeezah in 1972. Shocked and embarrassed Naushad composed the song Najariya ki Mari entirely for Rajkumari to sing. It is said that Rajkumari died in absolute poverty and neighbours paid for her funeral expenses. There have been many others who had seen a meteoric rise and then a sudden fall in fortunes. Take the case of Bhagwan (1913-2002), starting as an extra in stunt films, he rose to become a film actor , producer and owner of Jagriti Studio in Chembur, Mumbai. His hit film Albela (1951) changed his fortunes and he owned seven cars ( a car for each day of the week) and a sea facing bungalow. Soon his movies began to flop and his financial ruin started, made complete by his habit for gambling and horse racing. He soon moved to a chawl in Mumbai , all his riches now a distant dream However one would still see film stars like Dilip Kumar, Sunil Dutt and Amitabh Bachchan stop by his chawl to say hello to Bhagwan. Bhagwan died penniliess in 2002. Mandakini became an overnight star with Raj Kapoor’s Ram Teri Ganga Mailli (1985). However her luck deserted her and she could not repeat her success and quit films in 1996. She was linked with the Mumbai underworld. Presently she stays in Andheri with her husband Dr Kagyur T. Rinpoche Thakur , a former Tibetian monk and runs a Tibetian medicine centre. Naseeruddin Shah has termed him as the best actor ever in Hindi cinema. A superstar with both money and fame at his bec and call, Motilal (1910-1965) would even pilot his own personal plane. He is most remembered for his role as Chunni Babu in Bimal Roy’s Devdas(1955) , for which he won the first Flmfare Best Supporting Actor Award. He lost all his money while making the fiom Choti Chotti Maatein which took longer than expected. The film on its release didnot make a mark and Motilal by now a pauper died the year the film was released. He would never know that Chotti Chotti Baatein would win the President’s award the very next year. Same story was repeated for the famous lyricist Shailendra (1923-1966) , who went broke producing his maiden venture Teesri Kasam. He died in 1966, a pauper. Raj Kapoor and Waheeda Rehman starrer, Teesri Kasam , won the President’s Medal, sadly Shailendra was no more. In life unlike our movies there is never a perfect ending but for some the imperfection is rather unfair. Sad endings. Makes one philosophical of short life and shorter fame and fortune. Sad to know about the dark side of the Bollywood history. Nicely depicted by the author. Good English. It is sad but true that many of the actors do not foresee that some day the aroma is going to fade out and life will not award them what it did for a few years when they were in the lime light. But such is also true with many people as they get old and static in their lives if they do not change or continue to change with the times. The charm of being young is short lived. Some of these artists could have changed themselves to accept a lower level of life style but still rewarding to them in many ways. I am told Kanan Devi lived many years in an Ashram she created somewhere in the South of India. She lived a very meaningful live surrounded by many people of the Ashram she cared for all her life. I am sure there are many examples. In American film industry Audry Hepburn lived many years and is known for her good humanitarian work.